If you are going to be buying a trailer, you will want to be safe on the road when towing it, but the requirements for being safe with a trailer can be different to those of a car. 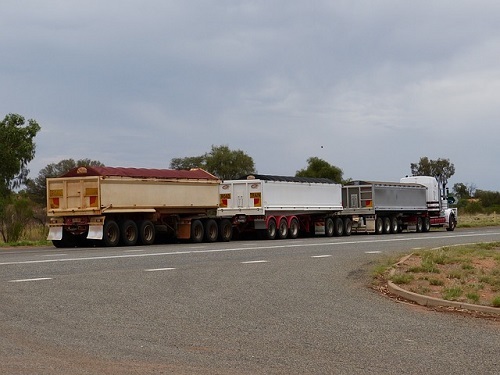 Here I have outlined a few tips to ensure you have a safe journey with your trailer. Your trailer needs to be in tip top condition to be safe on the roads. Make sure the brakes are working and that all of the welded (or bolted) sections are rust free and strong. Maintenance on a trailer is quite straight forward, but make sure you do it. This is vital, as driving with a trailer is very different to driving without one. You will need to learn how to reverse, and how to avoid jack knifing while reversing. You will also need to practice driving around corners, or you will be cutting corners and potentially injuring people. Another thing you will need to learn is the difference between braking in your vehicle and braking with a loaded trailer on the back. You will take longer to a stop, and you need to know how far the distances are. Every journey you make will entail a quick check to ensure that all of your trailer lights are clean, visible, and working correctly. This will include brake lights, so have somebody ready to help. Many people have lighting boards that they can swap between different trailers, but personally I would recommend a permanent lighting system; it is more reliable and you have no chance of it falling off. Make sure that the male and female parts of your hitch are firmly in place. There should be very little movement between them (if any), and you should make sure that the lock is engaged and working. If there is a hole for a securing pin, make sure you put the pin in before pulling off. Always use safety chains, they are the only back up you have should your hitch break or fail. One safety chain may suffice, but I would recommend using two. Make sure that you cross the chains (like an X) and that they are secured to something that cannot pull away from your vehicle. You will need to fit mirrors to your vehicle that are suitable for use with your trailer, and you will need to learn how to reverse with them. Reversing using mirrors can seem strange at first so practice before taking your trailer on the road. Your mirrors are an essential tool, so make sure you use them while driving. My final piece of advice is to plan your route. You can make your life so much easier when driving a trailer if you are avoiding curving roads and steep hills. Look for straight roads and ways to skirt around green lanes and rough ground. Following these tips should help you to have a safe, enjoyable journey with your trailer; why would you want anything else?